For this look i was inspired by Western Gothic Chic look. I have been loving Saint Laurent's 2013 Collection for women. That collection is just perfection. I was inspired so i had to do my own personal take on that. 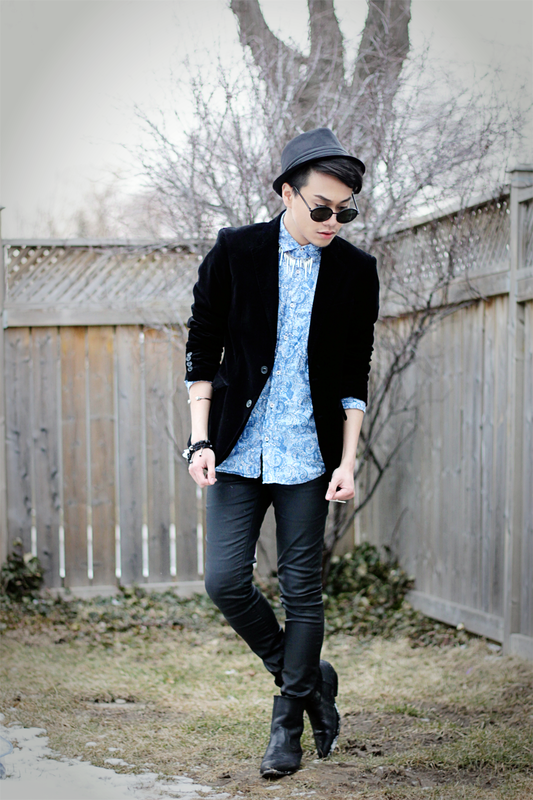 Hope you like this look. 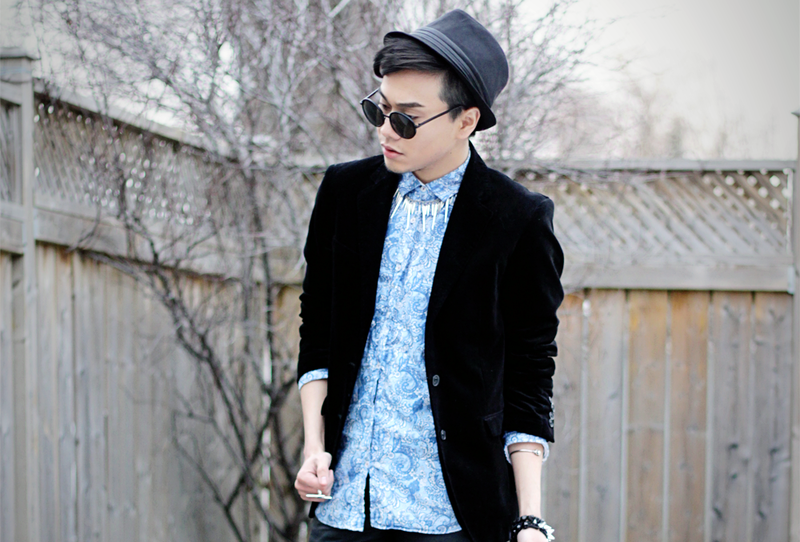 The Velvet Blazer is one of my favorites right now in my closet. I got it from Zara on sale. 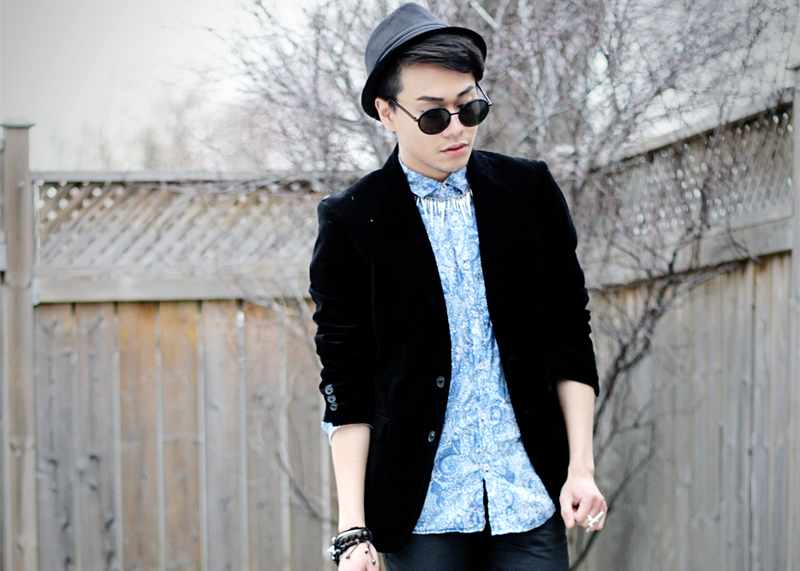 This Blue Paisley shirt is from Zara Mens also but it was last years collection. 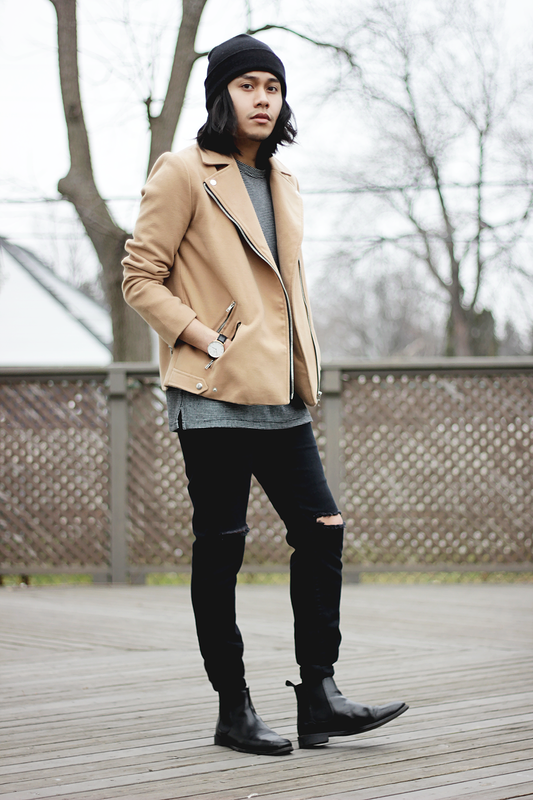 Most of this outfit is from Zara. I can't get enough of from them haha. It's pretty awesome that Zara Online is now available for Canada. So much easier now and more selection for sizes. 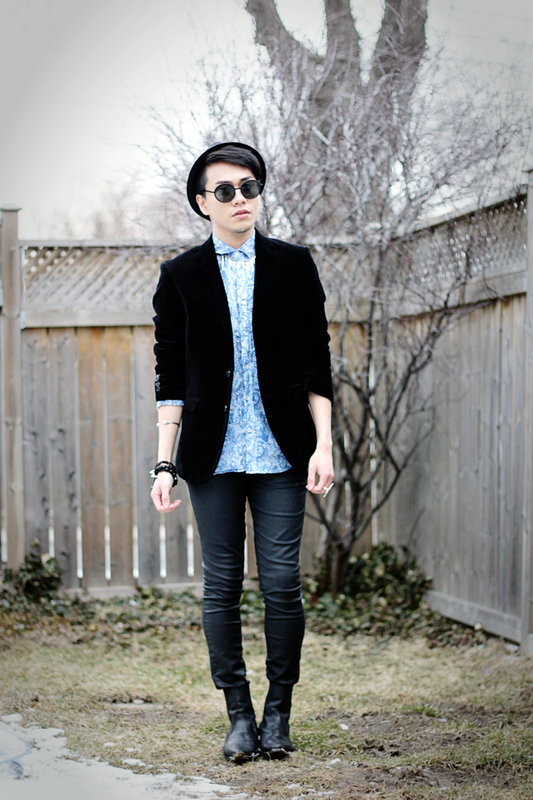 shirt from zara, blazer from zara, pants from zara and boots by joe sanchez.